You are experiencing sweet satisfaction knowing that your taxes were filed on time. That is, until you realize that you took a deduction when you did not qualify for it, or forgot to claim an important tax credit that could save you hundreds of dollars. There is no need to panic — simply amend your tax return in a timely matter using IRS Form 1040X. This form is used to make corrections in income, deductions or credits, number of exemptions, filing status, or health care coverage (insurance) status per the Affordable Care Act. It can also be used to capture issues from up to three years prior, such as claiming a retroactive refundable credit. Other situations, such as receiving a corrected Form 1095-A from the Health Insurance Marketplace, may need to be captured on a Form 1040X depending on the effect it has on your tax return (in other words, whether or not the change disqualified you from taking a tax credit that you claimed on your initial return). Form 1040X should not be used for items such as math errors or missing forms. The IRS will correct math errors and send you a request if any missing form is needed to process your return. 1040X also does not apply to requesting refunds of penalties or interest, or adding to taxes that you have already paid. In that case, Form 843, "Claim for Refund and Request for Abatement," applies. If you are unsure about when to use 1040X, look over the instructions for details. The form is quite simple. It contains a column for original amounts, a column for amended amounts, check boxes to verify status, and a section for you to write in an explanation of the changes. Aren't you just asking for an audit if you file an amended claim? Folklore says that you are, but reality -- and the IRS -- says otherwise. The IRS uses a complex computer formula known as the Discriminate Inventory Function that compares your items to the returns of similar taxpayers to look for large-scale outliers. 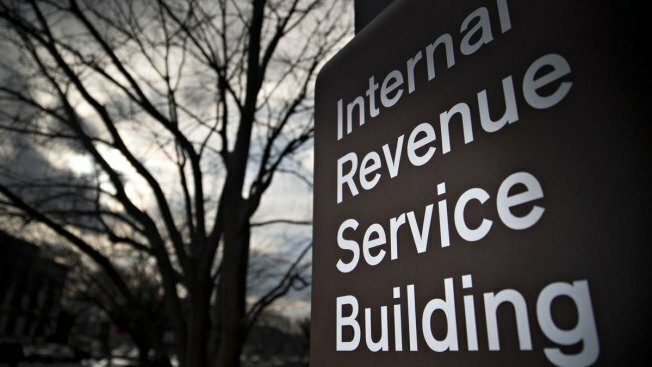 Even then, an IRS agent reviews the return before deciding whether an audit is in order. The fact that you amended a report does not increase your chances of an audit at all. However, the content of your amendment can increase the chances. For example, if you amend your return to show a massive change in income without a reasonable explanation as to why, you are more likely to be audited. Only file Form 1040X after you have filed your initial return, and only file a 1040X for an amended refund amount after you have received the refund. Multiple returns in the system at the same time can create confusion. Form 1040X must be filed using a paper return, even if your initial return was e-filed. Make sure that you look over the instructions to find the correct mailing address for your area. Since you have three years from the date of your original filing to apply a Form 1040X, it is important to note on the form which year's taxes are being corrected. Otherwise, the IRS may apply the corrections to the wrong year. Review the instructions for exceptions to the three-year limit and how that limit is defined (typically from the filing deadline or the actual filing date, whichever is later). Remember that amending your federal taxes could have ramifications on your state taxes. Check your state tax laws for the potential effects. The IRS typically processes a 1040X in eight to twelve weeks, but it could take up to 16 weeks in some cases. You can track the progress using the "Where's My Amended Return" application on the IRS website. Have your Taxpayer ID number (social security number for most filers), your zip code, andf your date of birth ready for verification purposes. Do not let fear of the IRS stop you from correcting your return. Correct your return at the earliest opportunity — and if you need professional help in doing so, do not be afraid to ask. It is better to correct a problem now than to put it off hoping the IRS does not notice the issue. How likely is that to happen? If your amendment means paying the IRS more, it’s better to give them some now than owe a whole lot more in penalties and interest later.